Listed as an Endangered Ecological Community, Pages Creek Wetland was being invaded by woody weeds and vines. This was the key threat to the environmental values of the creek, a tributary of Lane Cove River that forms a freshwater wetland, before entering the river’s estuary. Landcare Australia and Link Group, a global business specialising in fund administration and securities registration, partnered to offer a grants program supporting the Landcare community to undertake on-ground works to restore the health and water filtration properties of Pages Creek wetland, as well as improve the local biodiversity and native habitat values. 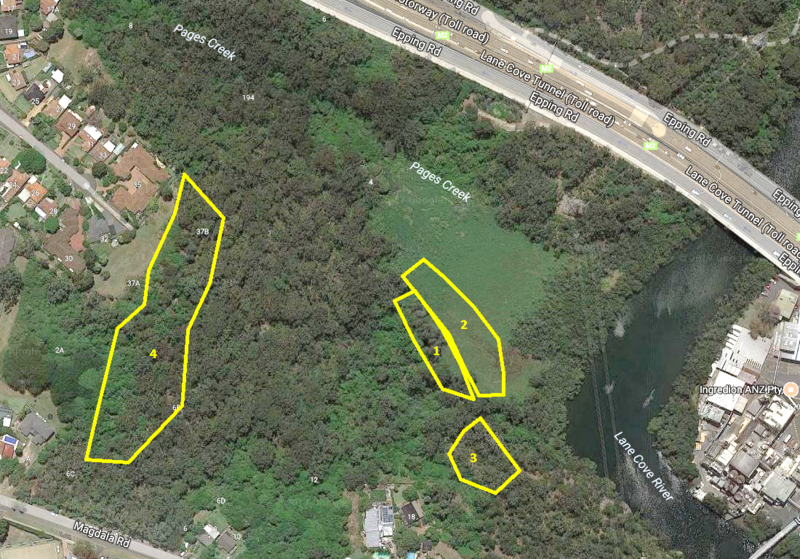 The 2017 Link Group Landcare Grant was awarded to Lane Cove National Park, to support a Bushcare program to undertake the Pages Creek Wetland Restoration Project. Lane Cove National Park protects approximately 700ha of bushland in the northern suburbs of Sydney, along the Lane Cove River. Established in 1994, the National Parks and Wildlife Service (NPWS) Bushcare program involves approximately 200 volunteers annually that work to restore bushland. 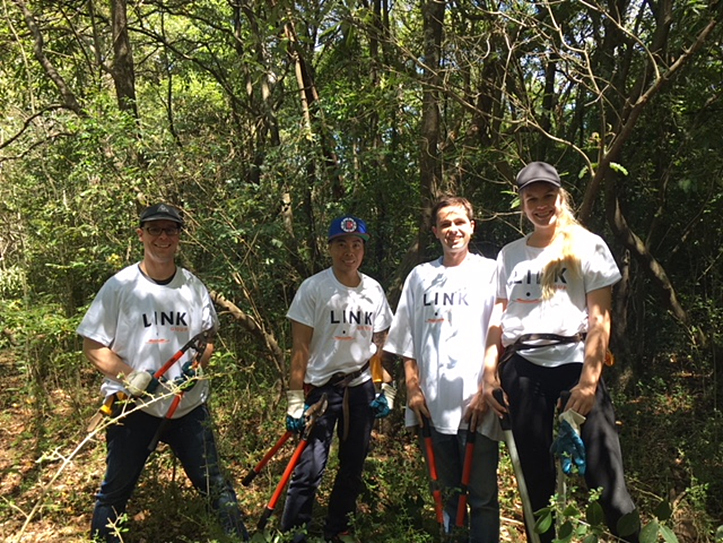 To complement the work being undertaken by NPWS, two corporate environmental volunteering days were held, one with Link Group and the other with the Australian Catholic University. A total of 25 corporate volunteers participated in the days, successfully weeding two hectares across three areas of the site—see photo (Areas 1, 3 and 4). Significant infestations of noxious weeds, including privet, lantana and asparagus fern were removed and then burnt by NPWS as part of a hazard reduction burn. Ongoing volunteer works were supported by this project through the provision of funding for bush regeneration contractors to treat weeds across an additional hectare, as well as the purchase of ten new bush regeneration kits for volunteers. Removal of weeds and the subsequent hazard reduction burn undertaken as part of this project promoted natural regeneration of native species, conserving biodiversity and enhancing habitats for native plants and animals. This project also benefits the local community through reducing fuel loads and fire risk to the surrounding community. The program successfully supported on-ground outcomes and the capacity of the Landcare community by contributing to the management of Pages Creek Wetland, a waterway of conservation significance, through bushland regeneration contractors and over 125 hours of volunteer work.